A few weeks ago we interviewed Jason Tagmire, the mastermind behind the eagerly awaited Pixel Lincoln, the sidescrolling, deck-builder of presidential proportions. Shortly after the interview we were sent a prototype copy of the game to review, so here it is, our review of Pixel Lincoln. 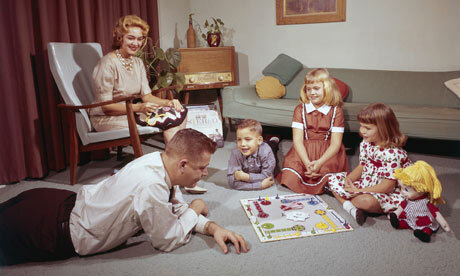 The Setup – The setup of the game is unlike most deckbuilders. Instead of simply creating a pool of cards that you’ll choose from, you’re also deciding which baddies you’ll face. The game consists of two levels, each level consists of a deck of cards that includes items, secret items, enemies, characters, checkpoints, a mini boss, and a boss. 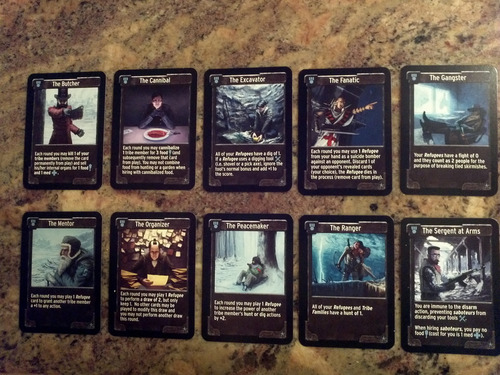 Once you’ve compiled your two levels the decks are set to the right and the first five cards are revealed making a row from left to right. 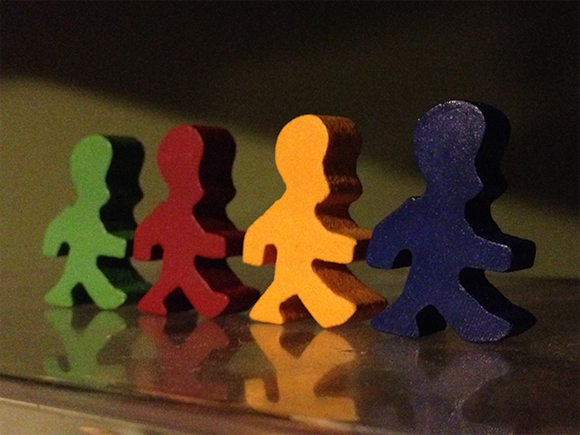 Players then choose which level they will start on by placing their Lincoln meeple to the left of the first card of the level. Players are then given a starting deck of 10 cards (five starting movements, and five starting weapons), and a player # card with 2 life cards that are placed underneath it; then each person shuffles their decks, draw 5 cards from it, and the game begins. 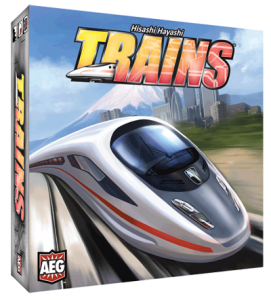 Game Play – On a turn players decide whether to use their cards in one of two ways: by equipping them, or using them for money. If the card is equipped, the player gains the attack power, the action/movement, or special ability of the card. If they choose to spend money, they gain the money value of the card. By spending money you can collect a card in your level that is a movement or item/weapon and add it to your deck. By equipping weapons or movements you can defeat or jump over enemies as you move through the level. Defeating an enemy places that card in a score pile, and usually triggers a favorable action for the player who defeated it… Usually. Players move along the level, and as soon as one player’s Lincoln makes it to the level’s draw deck, any cards that are behind all of the players in that level are discarded. The leftover cards are moved back, and more cards are then revealed. This accurately and nostalgically represents the side-scrolling of those great video games we grew up with. End Game – As you hit the three checkpoints in each level, they trigger certain game effects. 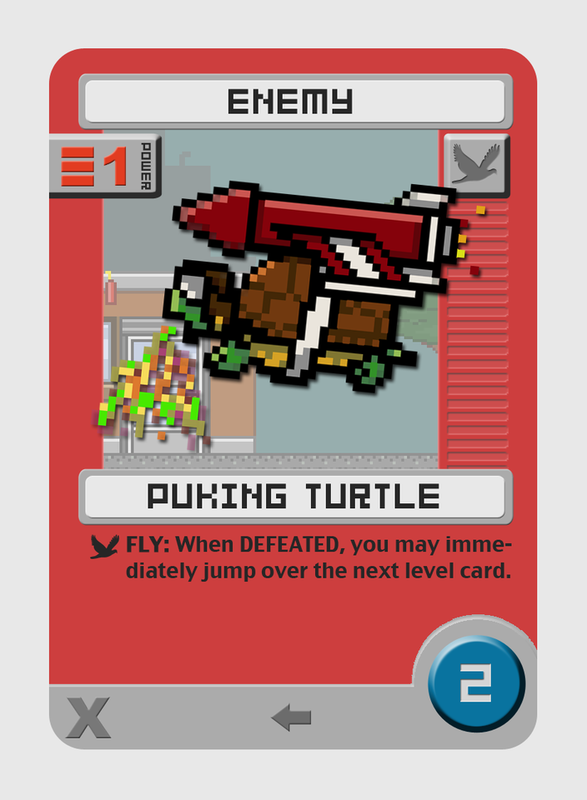 Each checkpoint allows players a few options, such as drawing an extra card, exiting the level, or culling a card to their score pile. When the second checkpoint is reached, it’s replaced with a mini boss, and when the third checkpoint is reached it’s replaced by a boss. Defeating the boss on each level ends the game. Players then count their scores. Winning the Game – Each card has a point value in the lower right-hand corner, as well as a suit along the bottom left. At the end of the game players count up their score from the score pile, as well as their player deck. If they’ve collected characters along the way, and if they have cards that match the required suits, those characters will also award additional points. This works well because players who don’t beat the bosses still have a good fighting chance to win the game! My Thoughts – What a fun romp! The feeling of actually playing an Old School side-scroller is seamlessly fused with the deck-building mechanics of some of today’s great games. Pixel Lincoln manages to bring together some of the best elements of my present day pasttime and my youthful social awkwardness! 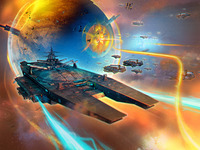 The art and universe of the game are unique, original, and full of quirks. 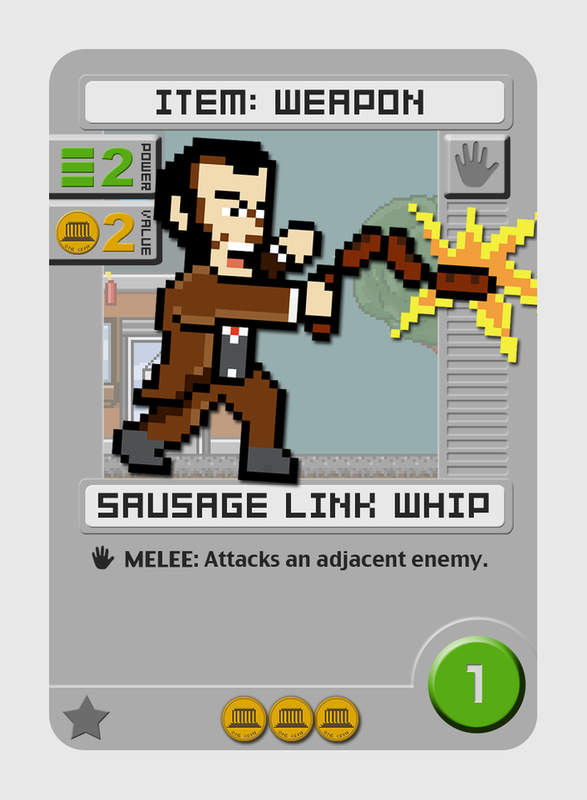 It seems completely normal that President Lincoln would be battling puking turtles, luchadors, plague doctors, and laser sharks, with weapons like chicken cannons, sausage link whips, and beardarangs. I mean…why not? The full version of the game includes a level editor, which should be very, very handy. One playthrough we noticed that the two levels weren’t very balanced, and if you were stuck in level two, all the good cards were going to the players in level one. 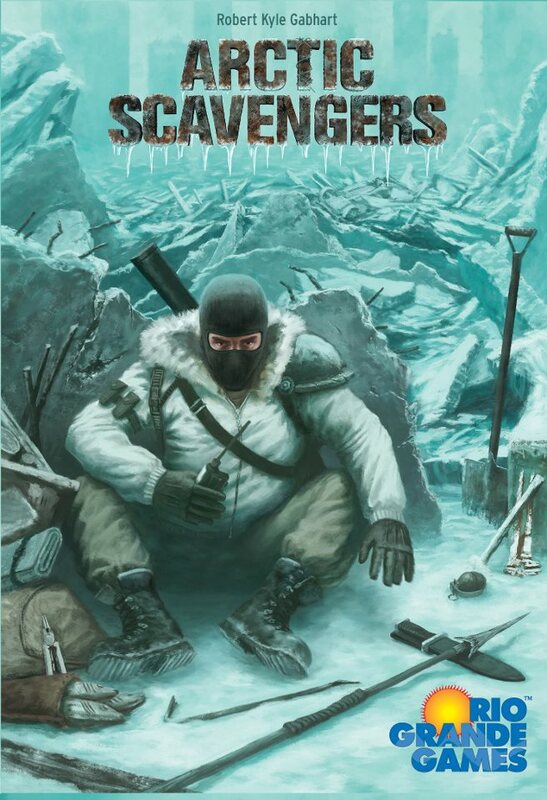 I also see a lot of room for expansion in this game; I would love to see more, and different types of, abilities and triggered effects on the enemy cards as they are defeated. At the end of the day, Pixel Lincoln is not the most strategic of card games, which levels the playing field in a way—players are at the mercy of the levels and the cards they have at hand. But it’s still fun to play! Here’s to hoping you’ve got enough fire power, because don’t look now, that luchador is throwing a hot dog with the works at you! 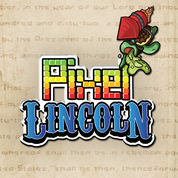 You can now pre-order your very own copy of Pixel Lincoln right here.